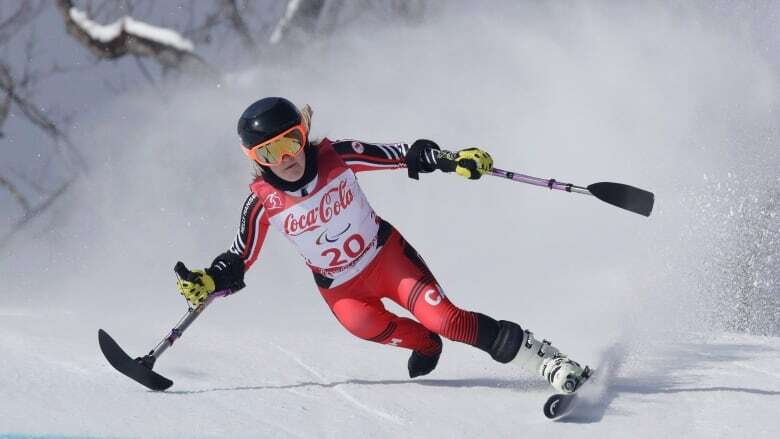 Canada snagged silver and bronze in the slalom event at the para alpine World Cup on Friday in La Molina, Spain. Frederique Turgeon, of Candiac Que., won silver to maintain her lead in the overall standings, while Calgary's Alana Ramsay scored bronze. Turgeon, 19, clocked in at one minute, 55.83 seconds. She won the first two races of the World Cup season and has three remaining. "I had a good first run, really aggressive — I felt pretty solid, even though I made a huge mistake," Turgeon said. "With that I felt super confident [heading into] the second run. I'm super happy to get second place." Ramsay, meanwhile, landed her first podium of the season. The 24-year-old won silver in giant slalom at the world championships earlier this year, and is still regaining confidence following a crash in February. She said her time of 1:56.19 was encouraging. "I've had some really tough days getting back out [on the race course], and today was no exception," Ramsay said. "I'm still working on getting back on my skis, so getting on the podium today is a bonus. I am looking forward to feeling like myself and getting back into what I love doing best — bashing gates and going fast." Another Canadian, Mel Pemble, finished sixth with a time of 2:10.91. La Molina's final World Cup slalom races for the season are scheduled for Saturday.